Teachers, here’s a reminder! 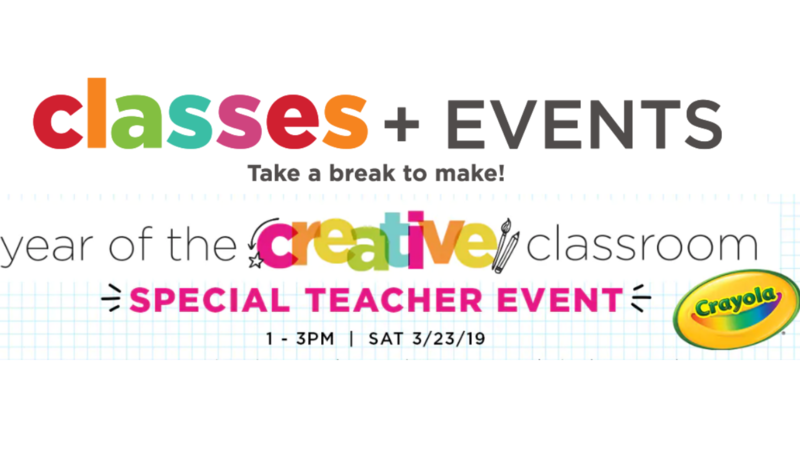 Head to Michaels today for a Special Teacher Event from 1-3pm! The event is Free and will include product demos, refreshments and the opportunity to make a Crayola project to take back to your classroom with the supplies provided by Michaels. As an added bonus, look for a coupon to get 20% off your entire purchase, including sale items!